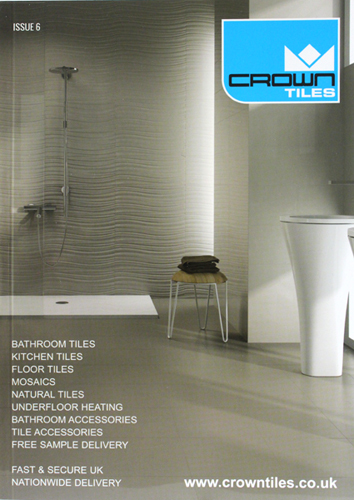 Crown Tiles have created a brochure free of charge so that if you do not wish to look at everything that we offer online, we have selected some of our best selling and most popluar wall and floor tiles. We have a vast selection of ceramic, porcelain, natural stone, wood effect floor tiles, metro and vintage style tiles. Crown Tiles are passionate about giving you the overall experience by inspiring you with some our our tiling idea, realistic roomsets so it will help you visualise what the tiles may look in your home. Our brochure is not all about tiles its far more than that we host a range of bathroom cabinets, from basic to the lastest touch screen Bluetooth Mirror, knowledge of the best adhesive & grouts for your proposed job, and underfloor heating to heat your floors.